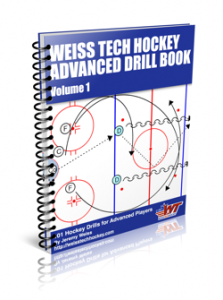 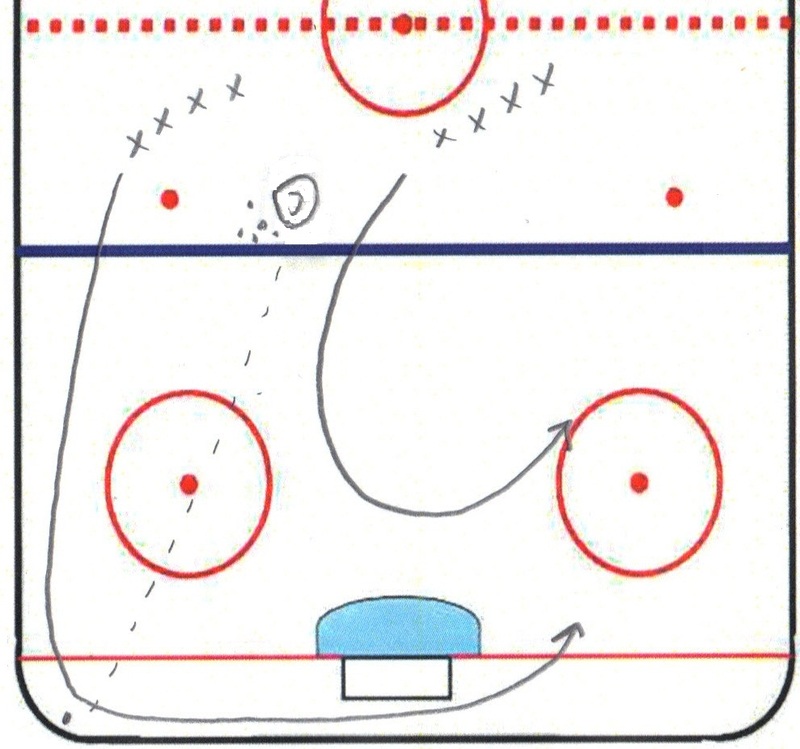 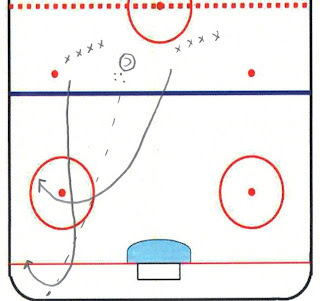 This drill really focuses on getting the puck out of their own end. 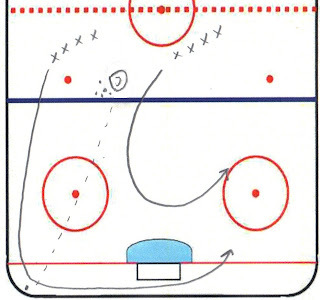 Players learn to make decisions on whether to carry the puck or pass. 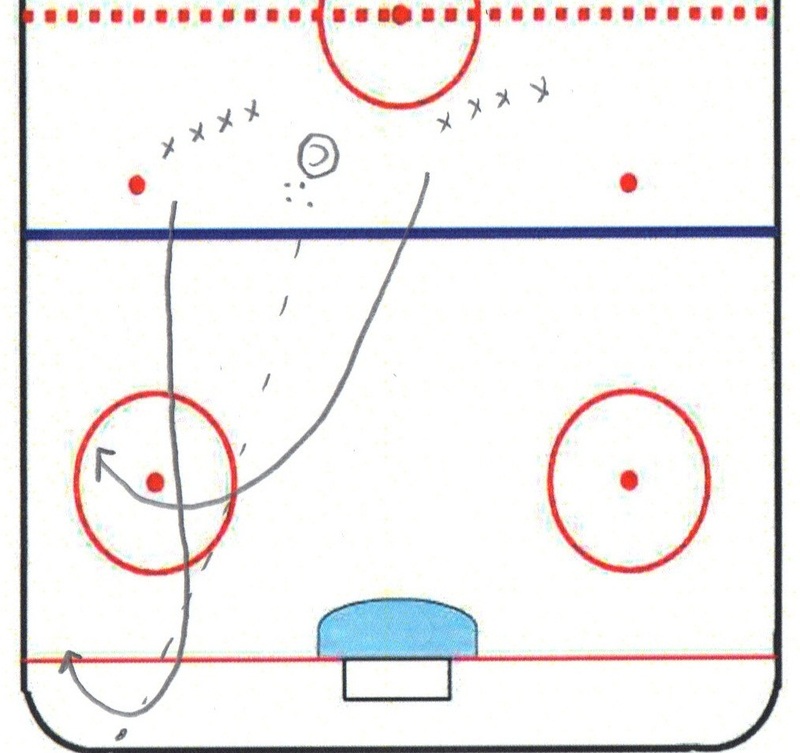 This is a great drill to help players understand how to work out of their own zone and learn to make quick decisions.